The Case of the Month for this issue of JMS was contributed by Holley Eubank, CMT, from Los Angeles, Calif. In our opinion, this is an exceptional article. Usually, we allow our contributors to decide the format of their submission. When Eubank submitted her article in the form of work-in-progress notes, we had some initial reservations about this presentation format. However, it became apparent that this is the ONLY format that suits this Case Study. It is easy to use a treatment protocol when the patient has a straightforward ailment such as Tennis Elbow for example. However, it is far more challenging for the practitioner to treat a multilayered pathology. In these situations, the practitioner faces complicated cases in which chronic, original pathology triggers various adaptive changes by the body that are attempts to diminish the intensity of uncomfortable symptoms. The only effective clinical solution is to peel away the pathological changes layer by layer to slowly reset the body’s entire function. This is exactly what Holley did with her treatment protocol. She began with a step-by-step evaluation that enabled her to determine how to proceed. Then she correctly defined the most effective treatment priorities and skillfully blended them within medical massage protocol to address the physiological changes in the different layer of the soft tissues. At a peak of her treatment course, she started to modify and blend different the medical massage protocols we suggested in the Video Library. This is an excellent example of what we always emphasize: Never blindly follow any single treatment recommendation as commonly suggested! To do this is completely absurd since no two patients have identical patterns of clinical symptoms. It is important to be creative and know a wide variety of therapeutic techniques and modalities to be able to effectively combine them to achieve stable clinical results. Only with such flexibility, can the therapist be able to adjust his or her treatment to suite each patient. This approach allows the massage therapist to slowly change the clinical picture from the inside rather than trying to fit the patient’s abnormalities into a preconceived belief system. The latter approach is a path to failure since complete healing can only be achieved by following nature rather than breaking it. Holley perfectly followed this concept in her Case of the Month contribution. Her notes demonstrate her thinking processes while she moved from tissue to tissue and from abnormality to abnormality and gradually restored her patient back to health. An 86-year-old male came to me with severe pain in the lower back radiating down his right leg with tingling and numbness in the lower lateral leg and top of the foot. He reported a stabbing pain on the mid/top of the right iliac crest and in the middle of the buttock. The intensity of the right-side pain in the buttock was a level 3-4 sitting, 5-6 standing. The pain radiated along the lateral shin to the top of the foot. He also complained of right shoulder pain due to a rotator cuff tear. He swims to stay in shape but recently started to get cramps in the right calf while swimming. The patient has been suffering for several months. He is the only care provider for his wife who suffers from Alzheimer’s disease, and so delayed caring for himself until the pain prevented him from functioning. An MRI revealed a tight rotator cuff tear and surgery had been recommended. An X-ray showed L4-L5 Spondylosis with spinal stenosis. Not wanting to do surgery at age 86, his doctor prescribed physical therapy. The patient underwent physical therapy, but could not handle the pain triggered by the treatments and was frustrated by the lack of progress. His PT recommended him to me. The interview and examination was limited to the lower back and lower extremity at this time. Patient interview: He was a high-school football player and had received multiple injuries. Usually, he falls asleep easily but recently would wake up with night cramps in the right calf. He felt rested in the morning. The pain increased by late afternoon, and movement increased the pain in the hip and calf. The pain radiated distally and the patient’s ROM was restricted. He reported having numbness and tingling along the lower leg and top of the foot. Physical examination: There was a decrease in calf muscles strength and the presence of sensory deficit in the form of numbness, tingling and pain along the lateral surface of the leg and on the top of the foot. Visual examination: Bilateral tension in the lumbar erectors on the level between T7-T12 was visible, especially on the left side. Palpation: Tension was in the lumbar erectors with active trigger points on the level of T7-T12. The intensity of the pain increased dramatically on the level of L5. Even mild direct pressure on the spinous process of L5 triggered stabbing pain. There was tension in the right Quadratus Lumborum (QL) muscle with active trigger points on the right. There was active trigger point in the right piriformis muscle. Application of a sensory test along the entire L5 dermatome confirmed different degrees of sensory abnormalities, which are especially prominent on the lateral leg and top of the foot where the skin was painful even to a simple touch. In the lumbar area, the patient exhibited the presence of tension in the connective tissue structures in the form of connective tissue zones on all three levels. At this point, it was obvious that Spodylosis with spinals stenosis was the real trigger of all somatic and neurological abnormalities that I detected. After a careful evaluation of my findings, research in medical massage textbooks and the Video Library, I decided that the first treatment choice was to reduce tension in the lumbar area, moving from more superficial to deeper layers of the soft tissues. If my theory was correct, such approach would reduce the compression force the soft tissues elicit on the affected L4-L5 spinal segment and, subsequently, release the L5 spinal nerve from the direct pressure giving it “room” to function. Later, I planned to address the peripheral changes in the gluteal area, leg and foot to combine both components of the treatment within same session. Due to the patient’s advanced age and the intensity of his pain, I began with 30-minute sessions. Since he had an acute clinical picture, I proceeded with caution. I started with several sessions designed to relieve his acute pain first and, later, correct the musculoskeletal abnormalities using medical massage protocols to target tension in the lumbar erectors, then the QL and, finally, the piriformis muscle. Each session was 30 minutes long, every other day. I started with medical massage in the lower back (modified version) targeting the tension in the lumbar erectors. Also, I concentrated on connective tissue massage to relieve tension in the superficial and deep fasciae. The patient felt an immediate reduction in pain by the end of the first session. At the end of the session, I instructed the patient on how to work in cutaneous reflex zones (CRZs) associated with L5 dermatome on his right leg, and directed him to repeat it several times a day. The patient felt better the day after treatment, but by the following day, his pain had returned although it had decreased to level 4-5. He reported acute pain when direct pressure was applied to the spinous processes of T6-T7. There was significant tension in the right QL muscle especially at the origin (12th rib) and insertion (iliac crest). I continued to concentrate on tension in the lumbar erectors, and the patient felt immediate improvement by the end of the session. I increased the time of the sessions from 30 to 60 minutes with a one- to two-day break in between. The patient reported a decrease in pain. He was doing home stretches and continued to massage the CRZs at home. He still was experiencing areas of pain around the left spinous process of T6-T7 and QL trigger points. At this point, I introduced the medical massage protocol for QL muscle since there was a significant decrease in the tension in lumbar erectors. I used the recommended components of connective tissue massage (CTM), tigger point therapy (TPT) and postisometric muscular relaxation (PIR). The patient’s pain level was down to a 4. There was significant decrease in the intensity of numbness and tingling. Palpatory evaluation showed that the spinous processes of T6-T7 were still painful and the right QL continued to exhibit tension. However, there was significant decrease of tension in the lower part of the right QL muscle especially at the insertion into the iliac crest. There was more tension in the upper part of right QL. There was no pain in the sacrum and SI joint. I worked on the remaining trigger points in the lumbar erectors and right QL muscle. However, I was unable to complete QL protocol but did PIR and stretches. For the next session I planned to add medical massage protocol to address the short rotators. The patient was given a five-day rest. 60-minute treatments every other day. The pain in the buttock and lower leg had decreased to level 2-3 as well as the tingling in the leg. The lower back was pain-free including the L5 area. Palpation exam: There was pain in the left side associated with tension in the short Rotators on level T6-T8. Also, there was pain in the area of the upper trigger point in the right QL muscle. The posterior and lateral thigh was painful particularly around the greater trochanter. The piriformis muscle continued to harbor an active trigger point. There was pain and active trigger points in the right Tensor Fascia Latae (TFL) muscle. I used the protocol for the short rotators and QL muscle, and applied therapeutic massage for the buttock and TFL muscle including H-reflex activation in combination with PIR. I re-evaluated the patient. His back was pain-free but he still felt pain in the right buttock and lower leg on the lateral and anterior surfaces. There was pain around the head of the fibula and along the lateral edge of anterior leg muscles. I individualized medical massage protocols to fit my patient’s clinical needs. I started with piriformis muscle protocol without TPT, switched to CTM in the right gluteal area after step 5, addressed CRZs on lower anterior leg and finished it with PIR for QL muscles after step 10. After an application of such a modified version for the first time, the patient felt no pain for the first time. Patient was given a five-day rest before sessions 7-9 with a one-day rest in between. The patient reported the pain in the right buttock and lower leg was at a level 2-3 but grew worse at night. He was still pain-free in the lower back. Patient’s re-evaluation: There was tightness in the upper part of right QL muscle and tension in the short rotators on level T6-T7. The compression test on the piriformis muscle was positive and triggered peripheral nerve pain. The CRZs in lower leg and foot were less active. I noticed that the left leg in lateral rotation and checked the left sacroiliac joint for Sacroiliitis, and found mild tenderness there. I proceeded with PIR protocol for the piriformis and QL muscles, and concentrated on the CRZs in lower leg after stretching the sciatic nerve. I applied some “spooning” or Gau Sha on the left side of the spinous process and lower lateral and anterior leg. I used a simple spoon for scraping, which was very effective treatment option. While keeping the age and the fragile skin condition of the patient in mind, I used the spoon to friction on the periosteum of the fibula. I continued with one to two more sessions moving down to the Common Peripheral Nerve Neuralgia protocol as the tension in the piriformis cleared up. The patient’s pain was still at level 3. There was improvement in the pain pattern. The patient was fine most of the day but if he walked for several hours he started to experience pain in the mid-right buttock and lower lateral leg. The spinous processes of T10-T12 were painful on the left side. The Short Rotators and spinous processes were tender to the touch. The right QL exhibited moderate tension but its insertions were not tender. I worked on the right QL and paravertebral muscles in the lower thoracic level using inhibitory regime of massage therapy with following TPT. I worked the lower lateral CRZs along the distribution of the common peroneal nerve, using spooning. Also, I taught the patient how to spoon his lower leg. I gave the patient breathing exercises to improve stability and muscle strength. Palpation: Insertion of TFL to greater trochanter was moderately painful indicating that a periostal trigger point was still active there. There was some tension developed in the superficial fascia, which covers the gluteus maximus muscle. The toes and the top of the foot were moderately sensitive to the touch. The intensity of pain around the fibula’s head was drastically decreased. The right QL was sensitive but only if direct pressure was applied. I started with therapeutic massaged in the inhibitory regime lower body bi-lateral then worked the TFL muscle-releasing TP and used PIR with the patient lying on his side. I used spooning around the lateral hip flexors, right lower leg, foot and along the pathway of the sciatic and common peroneal nerves. Post-treatment Evaluation: The patient reported no lower-back pain and no SI pain. Occasional movements triggered pain in the right gluteal area, lateral lower leg, and top of the foot. The patient said he had no more numbness or tingling along L5 dermatome although he continues having residual tension in QL but it was not painful. We are going to take a 30-day break and the patient will continue to do home treatments including exercises. Functional Goals: Release tension in the gluteus maximus fascia and TFL muscle, continue with local treatment of CRZs in the leg and foot. I plan to continue to work the TFL muscle to restore its anatomical length and address the right piriformis muscle using only needed parts of the protocols. Our goal after the break is to reduce the session time to 30 minutes and just work in the areas that exhibit residual symptoms and, eventually, sessions should be for maintenance only. I was diagnosed with lumbar spinal stenosis and advised to have surgery to relieve severe pain in my hip, thigh, and calf. At age 86 and having had previous spinal surgery, I decided to forego the three-hour-plus surgery by trying physical and massage therapy. Luckily, my PT recommended Holley Eubank, a certified massage therapist. After nine sessions with Holley, my pain is almost gone and, following her excellent home exercises, am confident I can almost eliminate the pain. I recommend her without reservation. Holley graduated from The Massage Center of Thousand Oaks 1n 2009. She went on to become a Certified Massage Practitioner of Sports, Rehabilitation and Medical Massage and is an active member of the California Chapter of American Massage Therapy Association (AMTA). 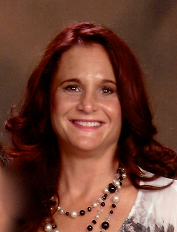 Holley joined the staff of Newbury park Physical Therapy in 2010. Her prior experience as an EMT and hospice caregiver has helped her create an effective system of communication and assessment to provide each client with the proper treatment plan according to their type and pattern of abnormalities within the soft tissue. Her private business provides sports massage to athletes at sporting events and personally enjoys a physically active lifestyle including softball, weight lifting and most recently Mixed Martial Arts.